“Part of being a strong woman is speaking the goddam truth…This is no time to step back and be quiet. This is the time to speak…” says Elisabeth Rohm in the first chapter of Baby Steps: Having a Baby I Always Wanted (Just Not as I Expected), a book she co-authored with Eve Adamson. I couldn’t agree more! This is without a doubt a time to bear witness to the truth. I also agree that there is nothing at all shameful about availing ourselves of medical technology such as IVF, egg donation or any other form of assisted reproduction, as long as we do what we can to protect ourselves, our children and anyone else involved in the process, from potential harm. In almost two decades I’ve celebrated many IVF-conceived babies with mothers who had prepared for the high-tech-trail attentive to internal cues. Rhom’s vision of a global network of women supporting one another on the scenic road to motherhood, is an equally valiant message. In fact, that vision has been a reality for some of us for quite a while. 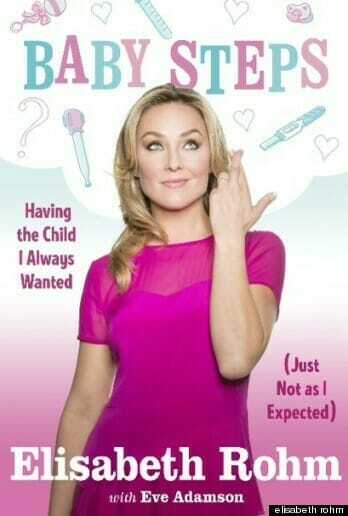 If Elisabeth Rohm had taken the time to Google high FSH (Rhom’s diagnosis) or any other infertility related marker, chances are she might have found supportive communities of women doing just what she is urging us to do. In countless online fertility forums, many of us have been having deep conversations about the subjects Rohm wants to rally the Hollywood Sisterhood to talk about: feeling deserving, learning to ditch the self-blame game and love ourselves. Is Elisabeth doing a favor to the booming $5 billion dollar unregulated, profit driven infertility industry? Yes, indeed! Where do such optimistic statistics come from? They certainly don’t reflect the latest CDC report, that shows an overall 41% IVF success rate among women under 35, decreasing to 32% among women 35–37, and plummeting to 22% with women 38–40. Nor does it represent the stories of countless women under forty who have mortgaged their houses, walked through the revolving doors of multiple clinics, subjected their bodies to repeated prodding and walked home to empty nurseries. I can easily envision young women in their early thirties, who are the most sought after targets of the industry, reading such cavalier statistics and texting the nearest clinic before they even finish reading the chapter. Does this sound like an empowering message that encourages us to do our own thinking and choosing? I wonder if it would shock the author of Baby Stepsto to learn that I have met countless women who, unnerved by similar warnings, leaped onto the infertility roller coaster at 32 and 34? 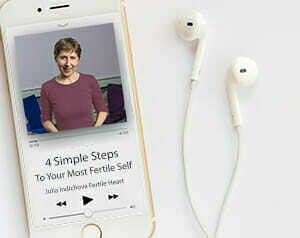 Would it then amaze her to hear that these young women and couples had anywhere from 3 to 15 failed IVF treatments and then, after giving their battered bodies and hearts a dose of radical self-care, went on to conceive naturally? No, I’m not a doctor, but reading Rohm’s story I can’t help but wonder what might have happened, if standing at the FSH crossroads, she, like me, had not been given the IVF option. Would she have sought out and found an alternate route? Would she still be urging healthy young women to inject themselves with hormone stimulants and go through invasive procedures with unknown long term side effects, in the hope that their frozen eggs might one day yield a child? Is that the reproductive healthcare revolution she would be leading today? Or would the no-IVF option have propelled her to do a bit more research and find studies pointing toward alarming links between IVF and life-threatening blood clots? Or studies about the controversial subject of the link between fertility drugs like Clomid and ovarian cancer, or the debated connection between IVF and childhood cancers? Some women will enjoy reading about Rohm’s acting career and the lovely narratives that celebrate her relationship with her mother and her daughter. I appreciated the description of Woodstock, our much loved town here in Upstate New York. Part of me wishes Rohm and I had met during one of Rhom’s visits to Woodstock. Perhaps if our paths had crossed, I would have had a chance to share with her the awe-inspiring stories of countless over-35 and over-40 women with healthy babies. Perhaps after hearing their stories she would have still opted for IVF, or maybe she would’ve considered that her high FSH might have had something to do with that left damaged ovary which her doctor discovered when monitoring the stimulated cycle. She might have paused and discovered that she still had plenty of good eggs in the healthy right ovary for a child or two. Perhaps she would have viewed her FSH as the call to heal the lingering pain of being sexually abused, or any number of psychic wounds that re-open with the emotionally charged subject of pregnancy and birth. Whether or not she would’ve then chosen the IVF route, I imagine Rohm would have still been blessed with her beautiful daughter. But chances are she would’ve written a very different book and championed quite a different cause. Self-care, holistic health, learning to love ourselves again…while journeying through the joys and sorrows of meeting our child halfway…can stir up hope again in our beautiful, fertile beings. A well examined review that I found invaluable. My first instinct from the cover portfolio of “Baby Steps” was that clearly before me shouts a non-intellectual volume of information with a celebrity show-casing the journey of infertility and infertility medicine like it’s a game show and “YOU can be the next contestant, come on down!” Even the colors and font of the cover appears “childish” as if to pacify us before we even read. With infertility affecting such a beautifully diverse tribe of women, it is truly a shame and concern this narrow and homogenous book is getting so much attention. My sisterhood and brotherhood, please, please demand more critical reviews and challenges to “Baby Steps” by all avenues of media so that our whole glorious tribe can be heard, known, and cared for. Wow, what an empowering response to this book and the fertility industry Julia. I thank you for reviewing this book and offering some sane discussion around. I have been avoiding the book as it stimulates the hysteria around infertility that I feel I have been very affected by. Since doing your work I have never felt more fertile, AND my journey toward my child has never made so much sense. Thank you for your candor. I think “the road less traveled” is often the best route to take! Thank you for your honesty and insights into this billion dollar industry and for giving women hope that they can also look within themselves, harness their power and conceive on their own terms! Kudos to you Julia Indichova and thank you for telling the truth. Some honesty and integrity are just what the doctor ordered. looks like I will be taking the scenic route with other fine ladies! Thank you, Kim! A HUGE pleasure to spend the day with you yesterday! I haven’t read the book, but you are wise, as always. This in the ‘main stream’ press worries me. It does sound like this overall goal “feeling deserving, learning to ditch the self-blame game and love ourselves.” is a good one, but sounds like she’s missing out on the true path to get there. Hi Julia, I attended your workshop several years ago. On January 26, I delivered a baby boy at 46 years old, a month and a half short of 47. Thank you for your workshop!! !